Audio-Technica ATH-AD1000 Mini-Review - Bull's Eye? Second headphones review: Audio-Technica ATH-AD1000. 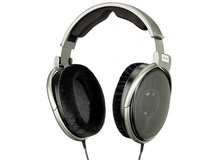 The ATH-M50 impressed us when reviewed headphones under $150... But what about this up-market product? Audio-Technica ATH-AD1000.